Carol of the Merry Gentlemen is a clever pairing of God Rest ye Merry Gentleman and Carol of the Bells. Beginning with an ethereal echo of Carol of the Bells, the tumpets present eerie fragmentations of God Rest Ye in cannon and in hocket with increasing rhythmic complexity and tension. The Allegro that results intersperses one tune on top of the other in turbulent hockets and canons as well. 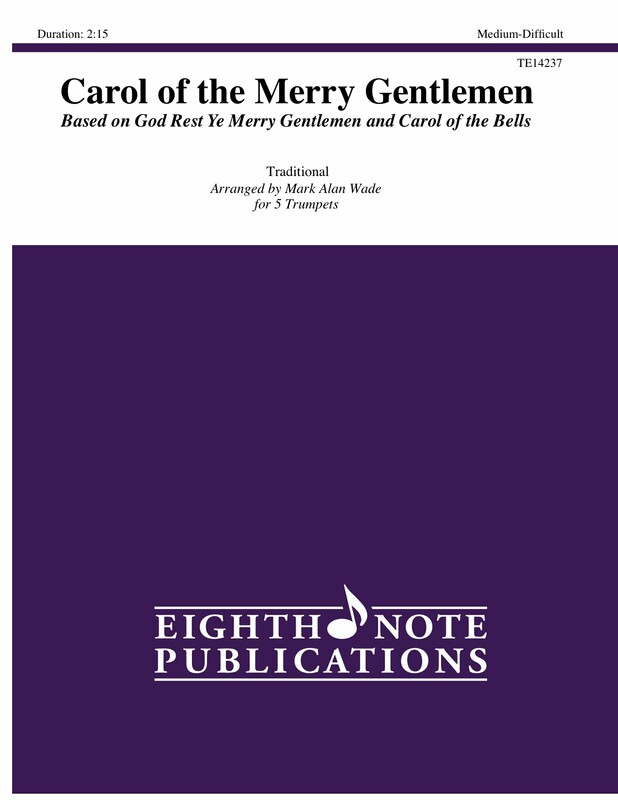 Full of surprising effects, such as subito mute changes and playing into the stand, this piece brings new life to these beloved carols.